The volume of drilling mud tank needs to be large enough to accommodate the maximum cycle volume of the drilling mud in the oil well drilling process, and have enough mud reserve capacity. At the same time the tanks also have the abilities of participating in cycle and controlling the oil well if an emergency sudden happen. In recent years, with the developing of the global markets and the increasing demand of drilling fluid solids control systems by drilling craft, the drilling mud tanks have the demand of increase the volume size. If the drilling mud tank size increase, the cost of moving drill rig and drilling fluid will be increased as well. For this reason, reasonable cubage is the goal which pursued by end-users. According to the well drilling practice by many years in the past, it uses the method of calculation of drilled well hole cubage or drilled well casing cubage to calculate the effective cubic contains of the drilling fluid solids control system in general. The results of the two methods of calculation are estimated. In a set of solids control system, the size of the single drilling mud tank and the amount of the cycle in the tank are decided by the height of the derrick substructure, the local transportation situation, and the effective treating volume of the drill rig needed and many other factors that will consider. The top of the mud tank should have enough space to install needed solids control equipments, mud agitator and drill rig transfer pumps. Moreover, the settings of the associated flow line of the drilling mud, accessories, pump inhalation, water pipeline and the space of various equipments needs be considered. The volume of every storage mainly depend on the installation space of solids control equipments like shale shakers, desanders, desilters, decanter centrifuge, and other auxiliary equipments as well. 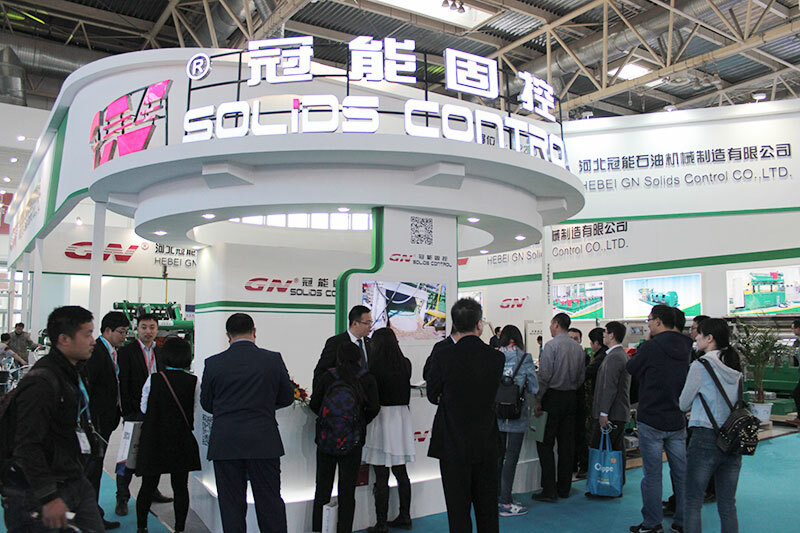 Friends and clients who had been keeping their eye about GN will find that more and even more giants in this oil sector started their contact with GN Solids Control, some of them perhaps already placed orders to help GN. The reason for this enjoyable situation is GN increasingly more focus on providing equipment with good standard, just like, in this article, the actual decanter centrifuge was brought to Europe with DNV moving certificate and ATEX regarding explosion-proof. Often the model of the centrifuge is definitely GNLW363CG-VFD. Editor thought it may be necessary to explain what the type number means to help clients’ understanding and better deciding on on GN decanter centrifuge. LW in Chinese indicates horizontal spiral type centrifuge that is typically used in necessary oil industry. C tells your third generation of GN centrifuge shows in the past nearly several years, GN solids control was always keeping in upgrading and improvement. The particular G means this design is a high configuration together with bowl material of de dos niveles stainless steel 2205 which is greater than other China based company who still use SS304. Inside the bowl, screw propeller are made of SS316 and protected simply by 4mm thick tungsten carbide tiles. Comparing with other China and taiwan manufactures’ spray welding 2mm protection, GN’s screw propeller has much longer lifetime that could greatly reduce the future maintenance charge. For more flexible operation objective, the client chose the variable occurrence drive for different working pace. Clients with Europe are cautious for you to get machinery from China manufacturer, as numerous certificated would be requested from the safety department when jogging the machine. In order to eliminate the client’s worry, GN provided the particular decanter centrifuge with The european countries certificate of comply. 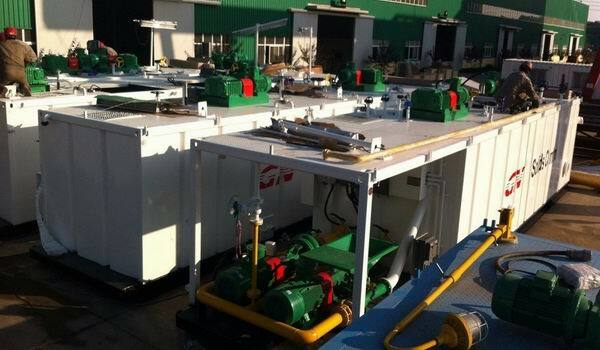 All of the electric motors and VFD control panel are provided together with ATEX certificate. 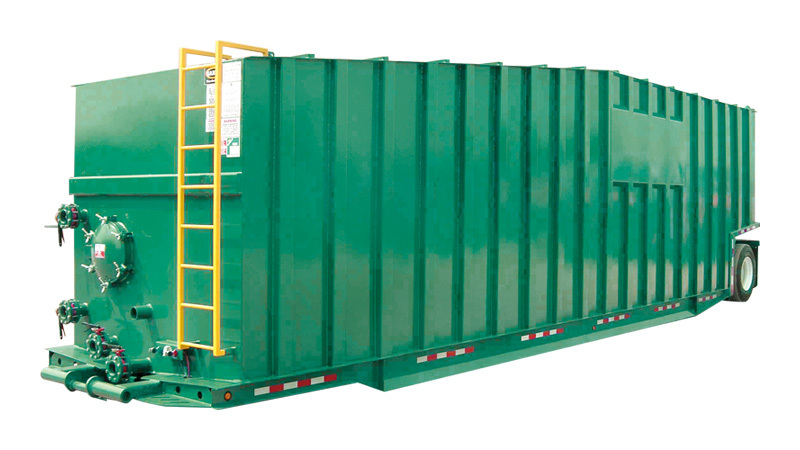 DNV can also be requested very commonly simply by clients from Europe. GN decanter centrifuge is slowly accepted by the clients via high standard market having strict request. All the vouchers obtained well proved this particular. Actually, GN now has one particular unit solids removing device working in London including both decanter centrifuge and shale shaker unit. As a API certified solids control company in China, GN has enlarge it’s market from traditional market drilling waste of oil well to the other environmental protection field. Decanter centrifuge as a core product of GN, has developed to the 3rd generation, and has been exported to America, Europe, Russia, Middle East, Africa and Asia-Pacific countries etc. How is decanter centrifuge used in construction industry? We know that there will be always some waste water produced during piling, especially in some area, waste water is not allowed to discharge to sewer directly, and the mud water will be clean after some time by gravity separation, and the waste water can be transport by truck tank also. While both of this two solution will be take too much time or costly. Now there is one solution, separate solid by decanter centrifuge, after the drilling fluids is separated by decanter centrifuge, the fluids can be discharge to sewer directly, and there will be less solids to be transported by truck. High Speed decanter centrifuge for ultra-fine solids separation. Nowadays the environmental problem is getting serious and GN as a leading factory who is focusing on solids control machinery, will continue to improve the our decanter centrifuge to make it easy maintenance and long life operation. 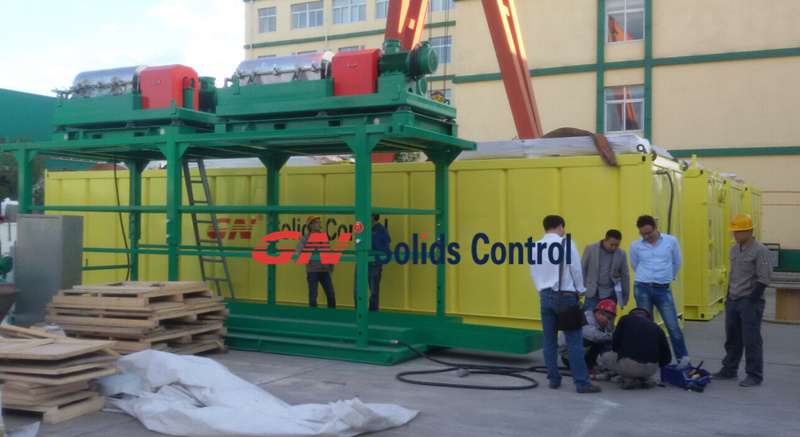 GN Solids Control is Chinese leading maker mud solids control devices & systemas well since oil field drilling squander mud pit waste management equipment and system. After mud comes out from well crown, the dirty mud could enter into GN Solids control system, and treatment simply by GN solids control gear, First step shale shaker separating, second step desander parting, third step desilter spliting up and The forth step decanter centrifuge separation. Other GN solids control equipment: fly mud mixer for mud mixing system , poor by degasser and vacuum degasser in order to kill the gas coming from mud. In many jobsite, we will see some mud pit with rig site. After divided by above solids control equipment, the clean mud will enter into mud system for drilling activities, often the dirty mud will released into the mud pitfor waste material treatment. 1) High G drying shaker. It can be mainly used for water dependent drilling cuttings treatment. Its normally 4-panel shale shaker with high G force. 2) Vertical cuttings dryer. It is mainly utilized for oil based cuttings cure. But GN made straight cuttings dryer can be used to take care of both water based going cuttings (WBM) as well as oil-based drilling cuttings (OBM). People can use one system for everyone steps of drilling activitites. 3) High speed decanter centrifuge and big bowl big level high speed centrifuge. After handled by high G dryer shaker or vertical cuttings dryer, the fluids period will be treated by decanter centrifuge with high speed to part ways the fine solids. 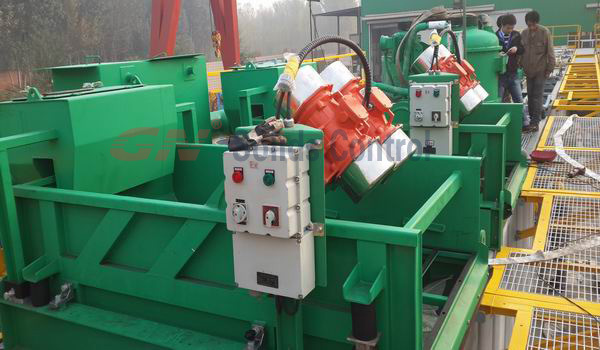 Various other GN made mud ditch waste management equipment. 1) Dewatering unit (Chemical enhancing system). 3) Thermal desorption unit (TDU). It is used to further cure the cuttings discharged through vertical cuttings dryer. Immediately after treatment by TDU, often the oil on cuttings could be reduced to 0. five per cent. Although the whole China will be on holiday for the coming 7 days, GN Solids Control is still busy for an urgent order of a mud plant including 4 mud tanks and mixing equipments. Those cargoes are scheduled to deliver to the loading port during the National Day of China. 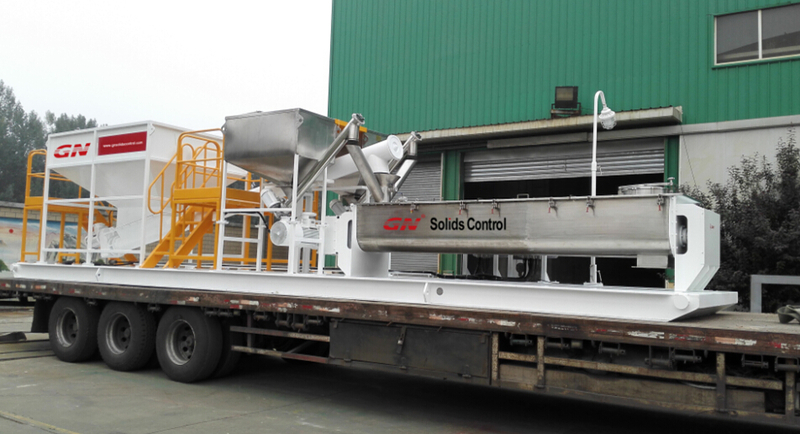 Besides mud plant and its mud agitators, mud guns and jetting mud hoppers, GN Solids Control also exported to South America many other equipments for solids control and drilling waste management in oil and gas drilling industry. 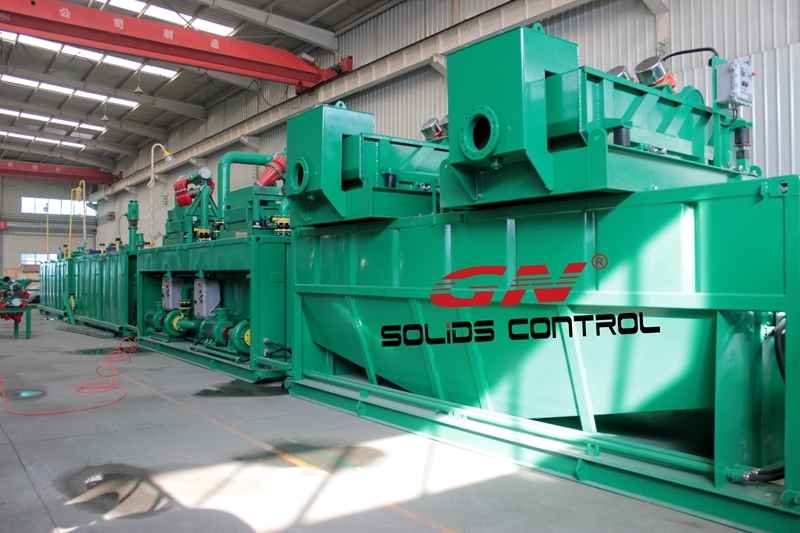 Why the South American companies choose GN Solids Control as supplier? Because of the geographic reason and the economic reasons, and also because most of world Top solids control manufacturers are from USA, the South American companies always share same standards with US companies accordingly. What models of equipment are popular in South America? 1. GNLW series decanter centrifuges are always the most popular products among the end users, especially the GNLW363 high speed decanter centrifuge. For the same size decanter centrifuge, GN has 4 optional models, high configuration and standard configuration, for each configuration, there is both VFD controlled and fixed speed available. 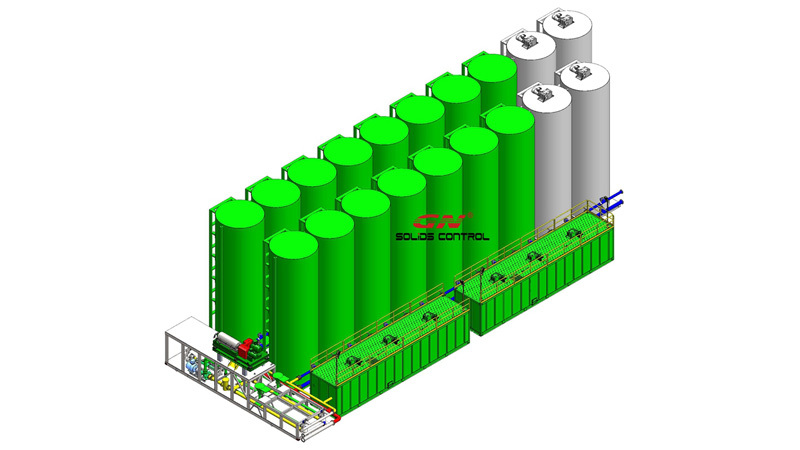 This model is suitable for both solids control and waste management. GNLW452 is also a popular model, which is big bowl centrifuge perfect for barite recovery. 2. 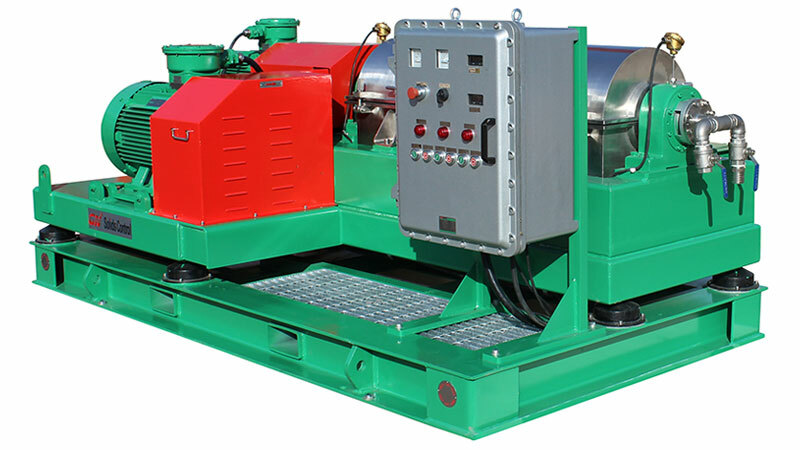 GNZS series shale shaker and high G drying shaker. GN’s shakers are designed with high quality material and strong structure of shaker deck, in order to stand the high G vibrating force from the famous brand motors and a longer service life. 3. GNCD930 Series vertical cuttings dryer, which was new products 3 years ago, but now it seems to be an essential equipment in a complete waste management system, used before the decanter centrifuge. GNCD930 has higher rotating speed and a better performance after the third time of improvement in design, and it is suitable for both oil based mud and water based mud. It is well proved by many jobsites inside and outside China. 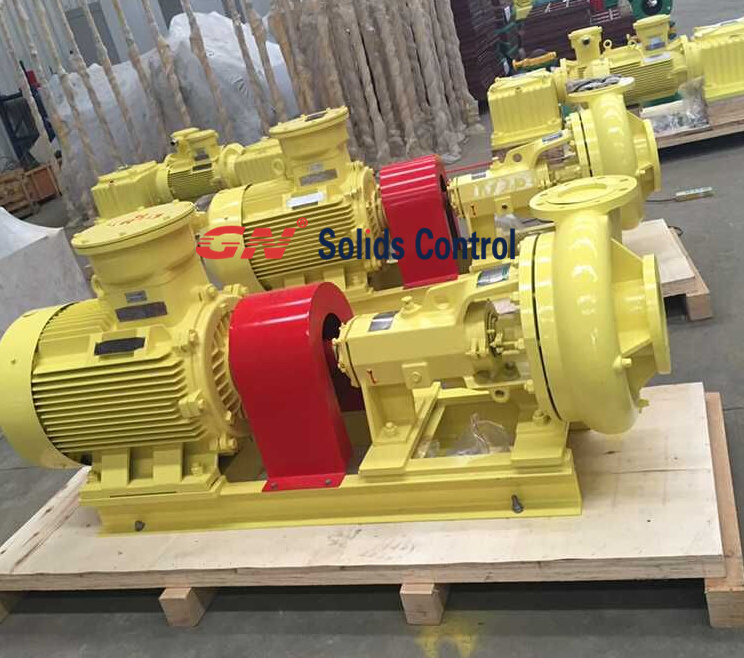 South American companies are not the only oversea market of GN Solids Control, in fact in the past several years, GN products are widely used in more than 60 countries and regions and become more and more welcomed by end users. 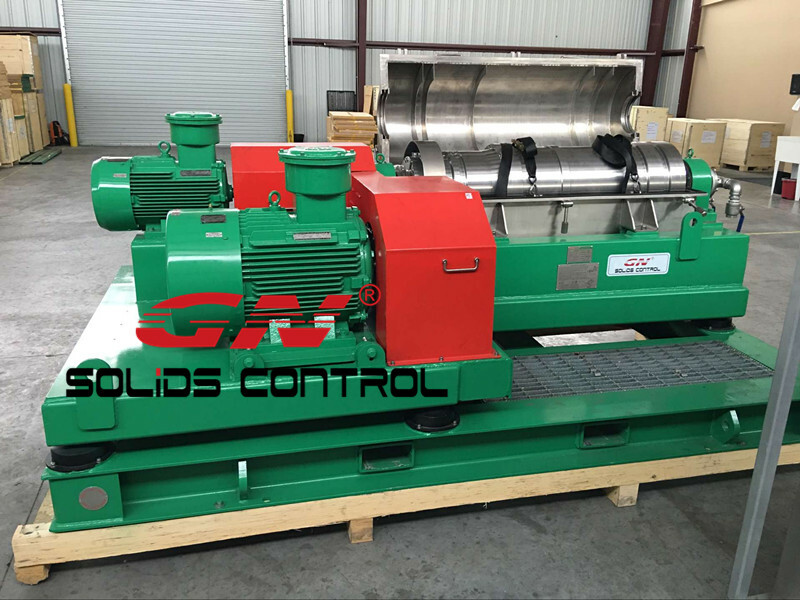 As a leading manufacturer of drilling mud recycling system and equipment, GN Solids Control could provide the mud system for the drilling rig ranging from 350HP to 2000 HP. This article would give a brief introduction on GN’s drilling mud recycling system for ZJ30 rig. 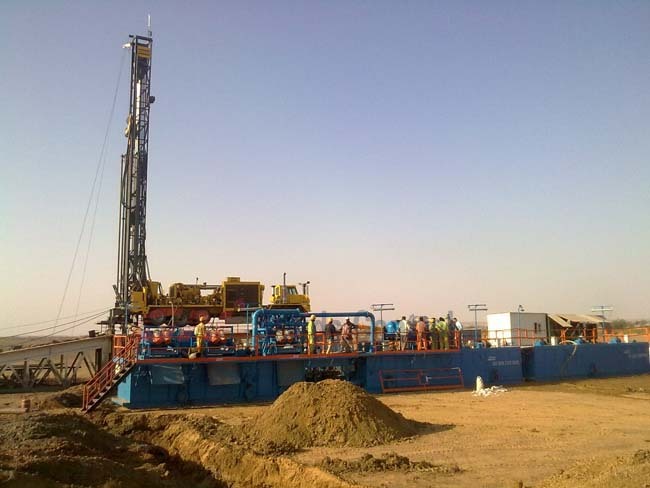 The drilling rig ZJ30 is defined in China domestic market. This model is also defined as a 750HP rig that is widely known in the market out of China. GN’s ZJ30 drilling rig mud system is designed with the treating capacity of 180 cubic meters per hour and the total mud storage volume is 120 cubic meters. 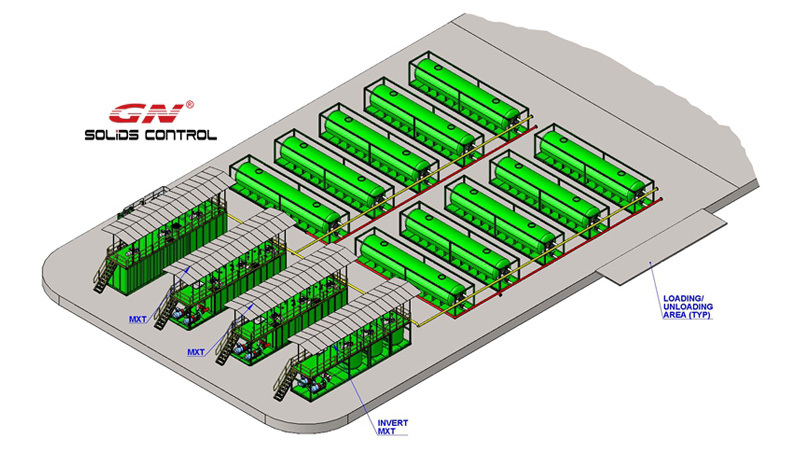 This mud recycling system includes 3-unit tanks of processing tank, mud mixing tank and storage tank. All 3 tanks are same dimension and the onsite layout is linear type. The processing tank of the mud system includes all the 4 stages of solids control and 5 stages purification process. The first stage solids control is 2 unit shale shakers with 3-panel screens, the capacity of the shaker unit is 120 cubic meters per hour. After the shale shaker, the vacuum degasser is located to remove the gas in the drilling mud thus the working efficiency of the centrifugal pump could be greatly increased, Thus the cyclone would have sufficient pressure when the mud was fed. This ZJ30 rig mud system could be equipped with separate de-sanding and de-silting unit. The de-sanding unit and the de-silting unit is cost less. There is another option of mud cleaner could be installed to replace the de-sanding and de-silting unit. The under shaker of the mud cleaner could be used for further drying the solids particles. According to the space on the mud tank top, the centrifuge unit is designed located on the second tank. This second tank is divided into 2 or 3 compartments, one of the compartments is used as the centrifuge compartments and the rest compartments are used to store the active drilling mud. The mud mixing unit is installed on the third tank with 45 kw mixing pump to mix the drilling mud in all the mud storage compartments. Besides the mixing pump, this ZJ30 mud system is also equipped with shearing pump that is used to cut the polymers mud chemicals. This shearing pump would be connected with a chemicals tank which used to mixing the drilling mud chemicals.